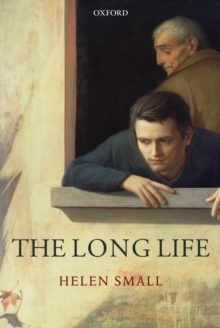 The Long Life invites the reader to range widely from the writings of Plato through to recent philosophical work by Derek Parfit, Bernard Williams, and others, and from Shakespeare's King Lear through works by Thomas Mann, Balzac, Dickens, Beckett, Stevie Smith, Philip Larkin, to more recent writing by Saul Bellow, Philip Roth, and J.
M. Coetzee. Helen Small argues that if we want to understand old age, we have to think more fundamentally about what it means to be a person, to have a life, to have (or lead) a good life, to be part of a just society. What did Plato mean when he suggested that old age was the best place from which to practice philosophy - or Thomas Mann when he defined old age as the best time to be a writer - and were they right? If we think, as Aristotle did, that a good life requires the active pursuit of virtue, howwill our view of later life be affected? If we think that lives and persons are unified, much as stories are said to be unified, how will our thinking about old age differ from that of someone who thinks that lives and/or persons can be strongly discontinuous? In a just society, what constitutes afair distribution of limited resources between the young and the old? How, if at all, should recent developments in the theory of evolutionary senescence alter our thinking about what it means to grow old? This is a groundbreaking book, deep as well as broad, and likely to alter the way in which we talk about one of the great social concerns of our time - the growing numbers of those living to be old, and the growing proportion of the old to the young.